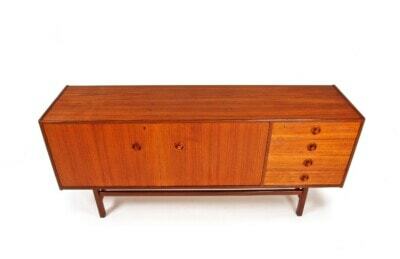 An original 1940’s Scandinavian furniture mahogany bench seat / hall seat by a Danish cabinetmaker. 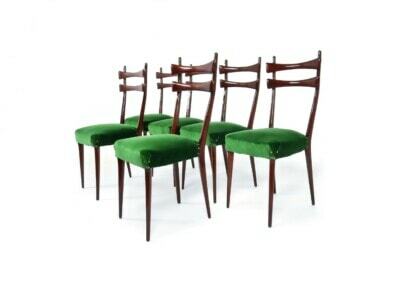 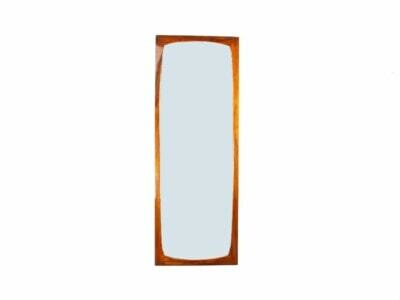 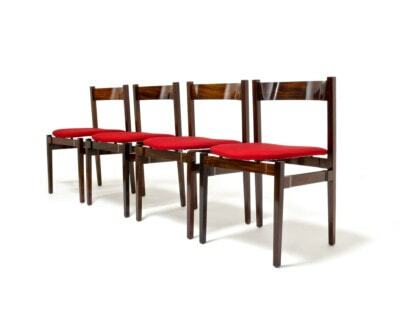 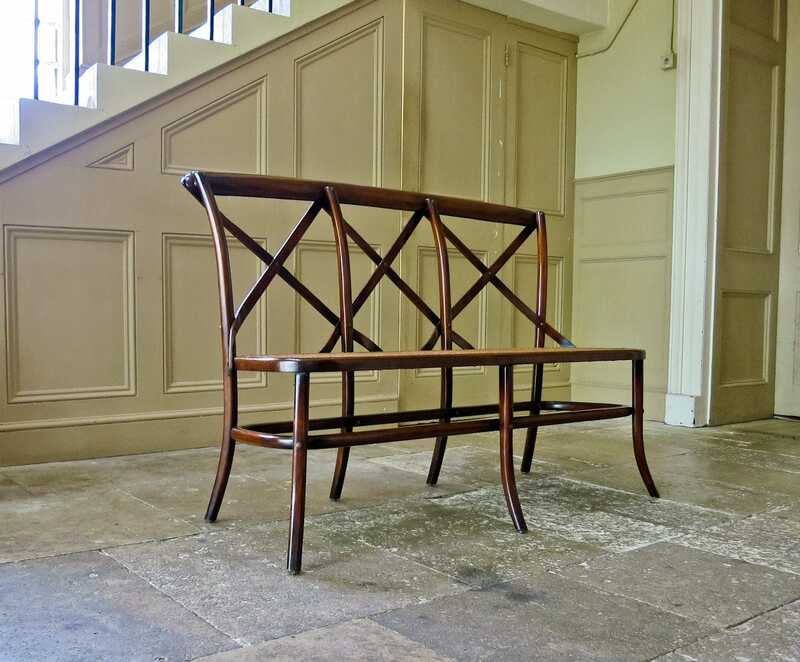 Gently curved top rail with four uprights with diagonal strapwork decoration. 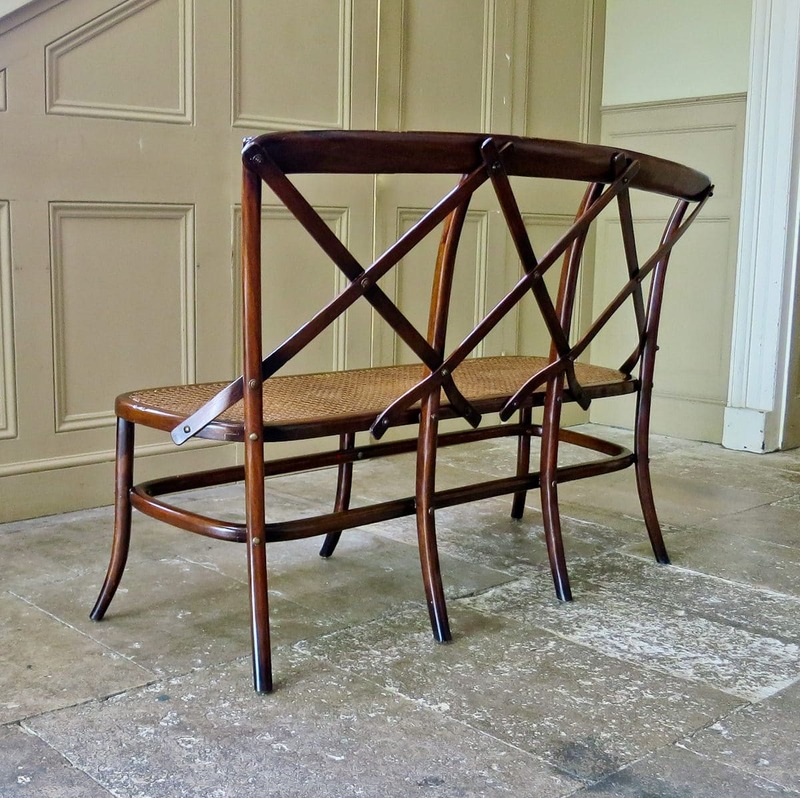 Seat with rattan upholstery on out turned legs with stretchered support, all in an excellent original condition. 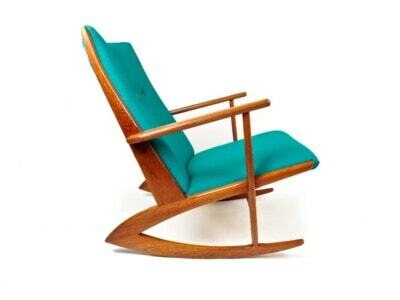 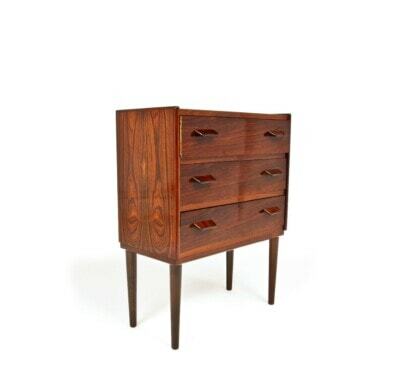 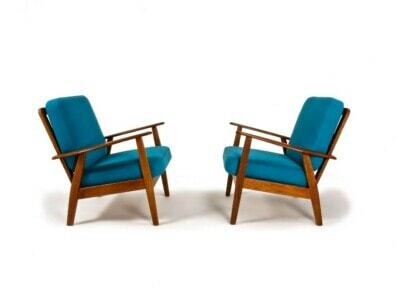 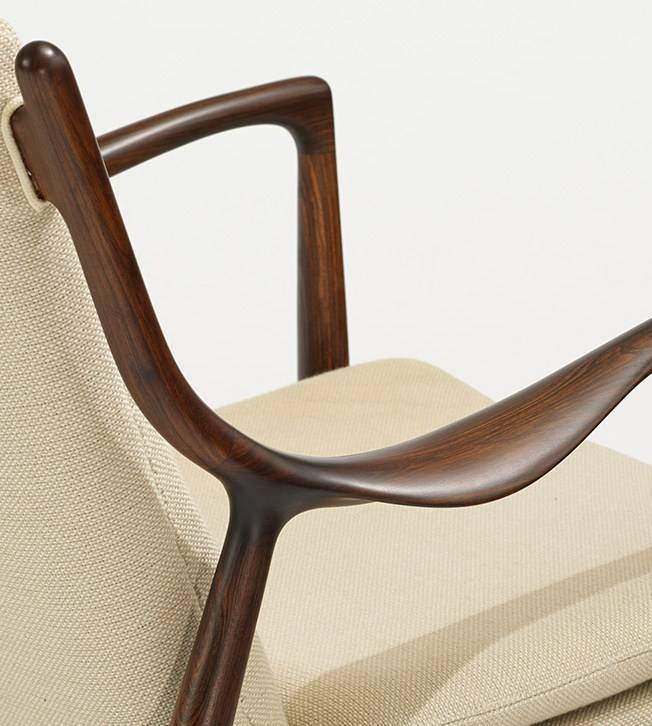 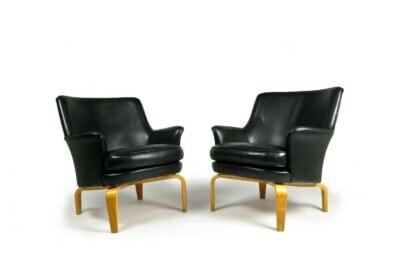 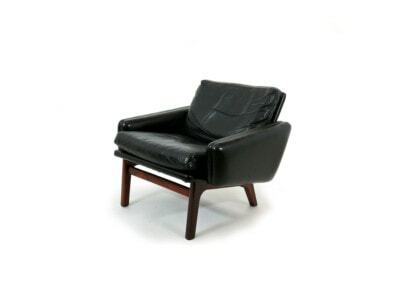 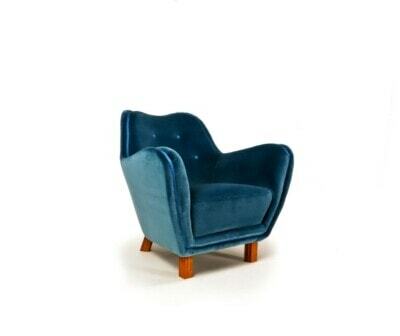 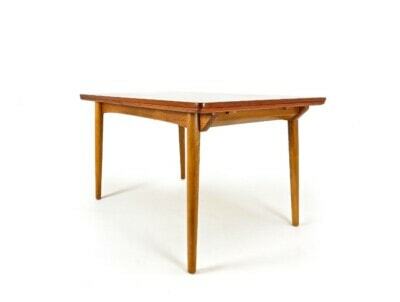 A fine piece of Scandinavian furniture from the 1940’s. 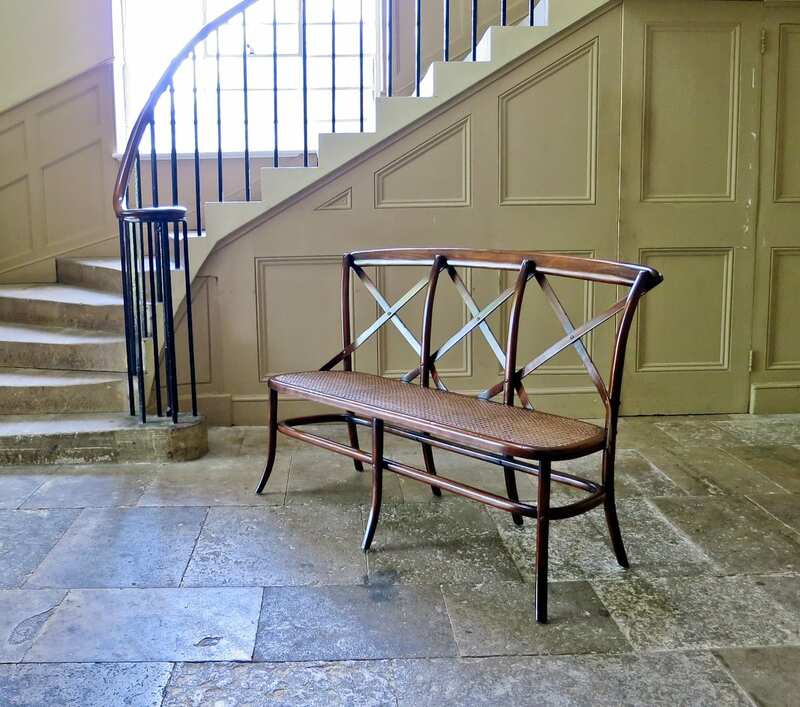 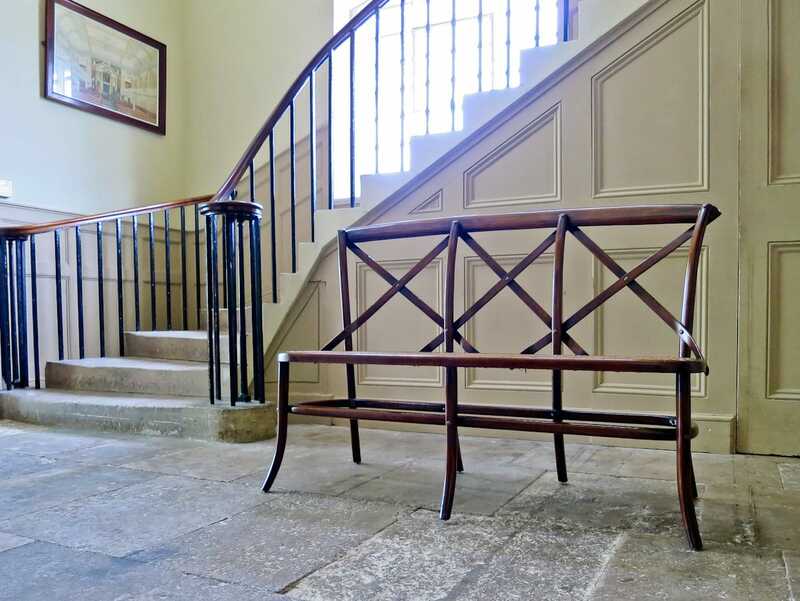 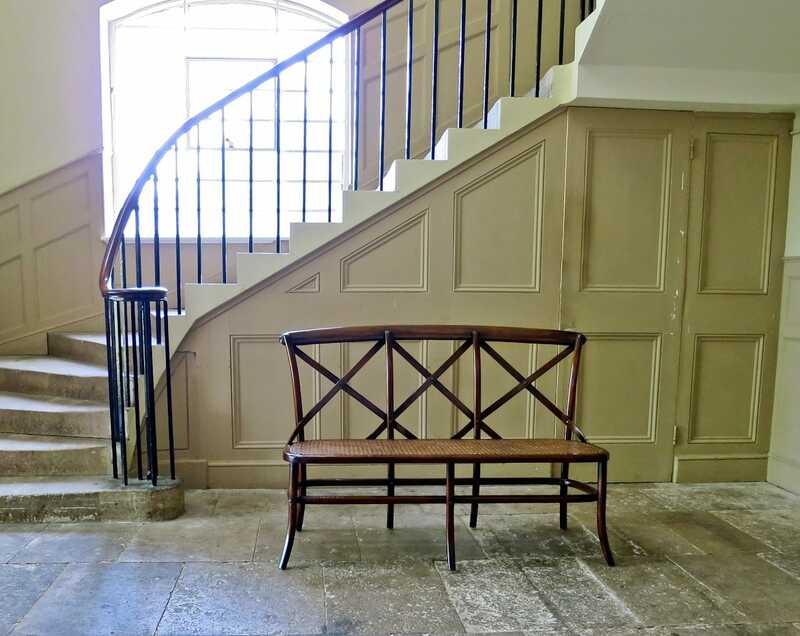 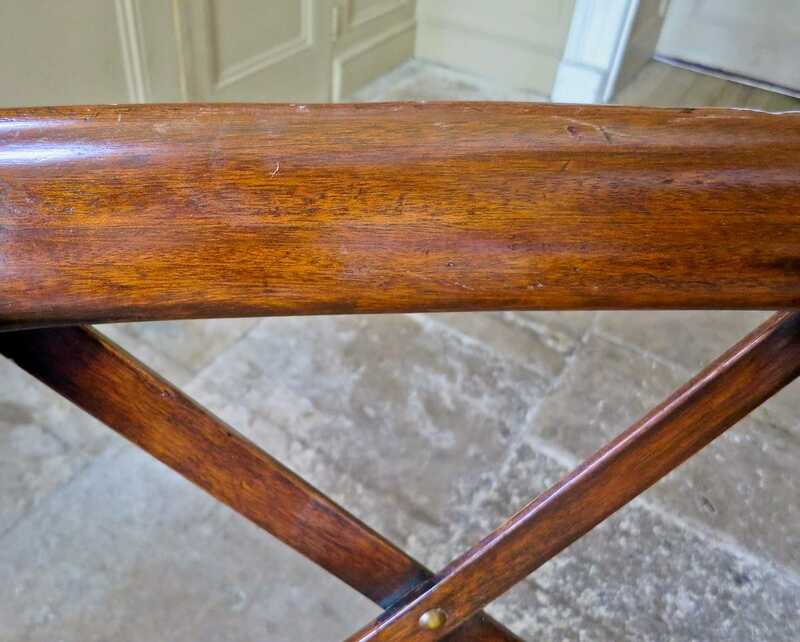 A graceful piece of design with beautiful patina and rich colour to this mahogany bench seat.